Today, Senior Patients are Taking More Medications than Ever and Research Shows Two Common Problems are Emerging. 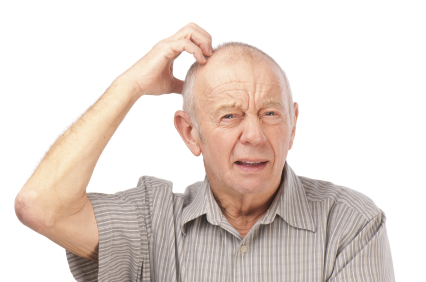 First, Many Seniors are Easily Confused about Dosing Instructions Leading to Misuse of Prescription Medications. In Addition, Prescription Costs in the US are Increasingly Unaffordable and as Such Patients are Advised to Seek a Reputable Online Pharmacy Such as QualityPrescriptionDrugs. For Affordable Access from Online Canadian Pharmacies. "One study shows that despite high levels of education as many as half of patients lack appropriate literacy skills when it comes to health jargon." On average, seniors take around seven pills every day in order to maintain good health. As life expectancy increases so does the number of medications that the average American takes. It is significant then that many American senior citizens are faced with two serious problems: dosing can be confusing and drugs are increasingly more expensive. Still, with better information and access to cheaper drugs at online pharmacies such as QualityPrescriptionDrugs, patients can overcome these challenges. In fact, in a report published in the Archives of Internal Medicine one study shows that despite high levels of education as many as half of patients lack appropriate literacy skills when it comes to health jargon. Most importantly, research over the past 20 years indicates that poor health literacy is associated with poorer treatment outcomes and mortality rates. The February 28th Archives of Internal Medicine report highlights a number of issues. For example, a third of individuals interviewed would not combine prescriptions if they had the same instructions for use (despite the drugs being used for different conditions). The researchers recommend using a universal medical schedule to circumvent these problems. Patients would be instructed to when to take the particular drug, morning, noon, or evening. Furthermore, doctors should be encouraged to discuss medications with their patients more thoroughly. Especially considering the fact that health literacy has little to do with education, dosing is an important topic for discussion. Regardless of perceived intelligence, seniors of all backgrounds demonstrated confusion with drug instructions. Compounding the problem of incorrect or overdosing is the fact that many prescription medications in the United States are considerably more expensive than in other industrialized countries. Considering that Americans spend more than twice for their medications than others in developing countries, they certainly cannot afford to use more that what they need. Alternatives to expensive medications exist. Canadian online pharmacies that are recognized by the Canadian International Pharmacy Association (CIPA) or PharmacyChecker.com are affordable outlets for cheap prescriptions. One such reputable pharmacy is QualityPrescriptionDrugs, where patients will pay Canadian rates, saving up to 80% on some prescriptions. Plus, these Canadian online pharmacies are required to staff certified pharmacists who can answer questions about confusing dosage instructions. Indeed, by shopping at a legal online pharmacy, many senior patients can get assistance with dosing information while simultaneously saving considerable sums on their prescriptions.